The Fund is currently at $23,712.00. In addition, we continue to get periodic donations –Thank you! Our goal is to sustain an annual scholarship of $1000 when the Fund reaches $50,000. The Fund continues to accept donations – these may be sent in care of Central States Bank (formerly Charter Bank), Chris Schornak Memorial Eagle Scout Scholarship Fund, 3324 Canton Rd, Marietta, GA 30066. Checks should be made out to the Chris Schornak Memorial Eagle Scout Scholarship Fund. If you have any questions, please do not hesitate to contact me – (770) 516-9120. 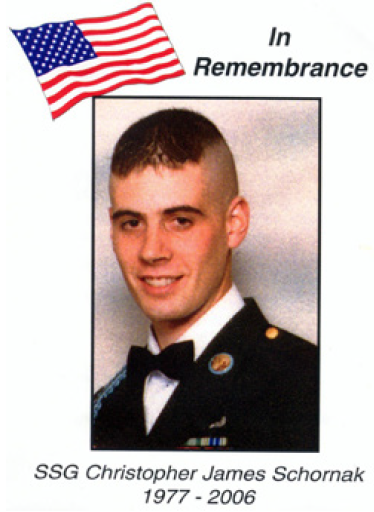 An article regarding Chris originally appearing the Military Times can be found here. His son will be 16 this year. the time of earning the Rank of Eagle Scout or have been the member of a Venture Crew/Boy Scout Troop chartered in Cobb County at the time of achieving the rank of Eagle Scout. See the application for additional information. If you have questions, you may contact me at 770-516-9120. 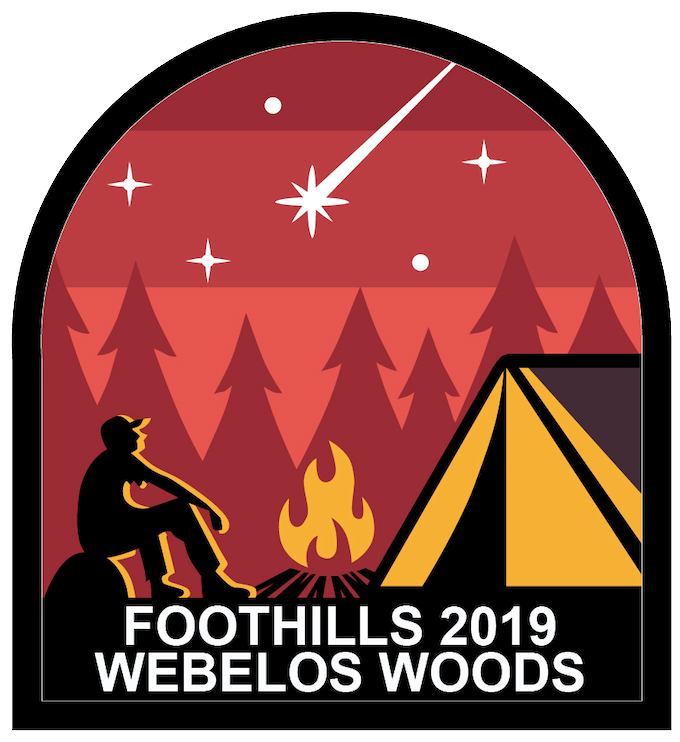 There’s still time to sign up for Webelos Woods, but the registration deadline is fast approaching! Check out the info below and sign up soon to secure your spot at Webelos Woods! It’s a District-led Spring camping event for Bears and Webelos 1. What is Webelos Woods Anyways? The Foothills District would like to extend a congratulations and thanks to Troop 287 at St. Joseph’s Catholic Church. They had a Charter Charging Ceremony to celebrate their 31 years in scouting and 104 Eagle Scouts! Back in 1987, several leaders migrated from Troop 75 at Transfiguration Catholic Church to establish Troop 287’s new charter at St. Joseph’s. Roy Lea played a pivotal role in establishing the new troop and he and Phyllis Lea’s sons, Bryan and Greg were both in attendance with their mother. They are the 1st and 4th Eagle Scouts in the troop. Along the back row are all the scoutmasters since the unit was founded and up front are as many of the Eagles as were able to attend. Congrats and thank for all you do! Join over 5,000 of your fellow Scouts,Venturers and volunteer for the biggest camping weekend in Metro-Atlanta. Scout Challenge 2019 will be a weekend of massive games, activities and so much more. Come on out and camp jamboree style or sign up as a volunteer and help run an event! View our FAQ for most questions and check out our Leader’s Guide & Flyer for additional info. If you have any further questions you can contact the Camp Admin. Register your Troop or Crew, including the number of participants you are bringing, at the link below. You won’t be required to name the individuals who are attending until 2/28/19. Register Today! Join your fellow Scouts and family members for the biggest Cub camping weekend in Metro-Atlanta. Packs from across the Atlanta Area Council will bring their own tents at Woodruff for three days and two nights of fun! Cub Scout Packs and individual families are invited to attend Cub Challenge and participate in unique events and competitions. Each pack should create “tribes” of 6-8 scouts to participate in the challenges. Individual Family units will be combined into their own unique tribes prior to camp. Each Pack is encouraged to create a Tribal Flag to bring to the games and to the opening and closing campfires to increase camp spirit and fun. View our FAQ for most questions and check out the Schedule & Flyer for additional info. Advance registration is required; meals are ordered in advance, based on the number of paid registrations. 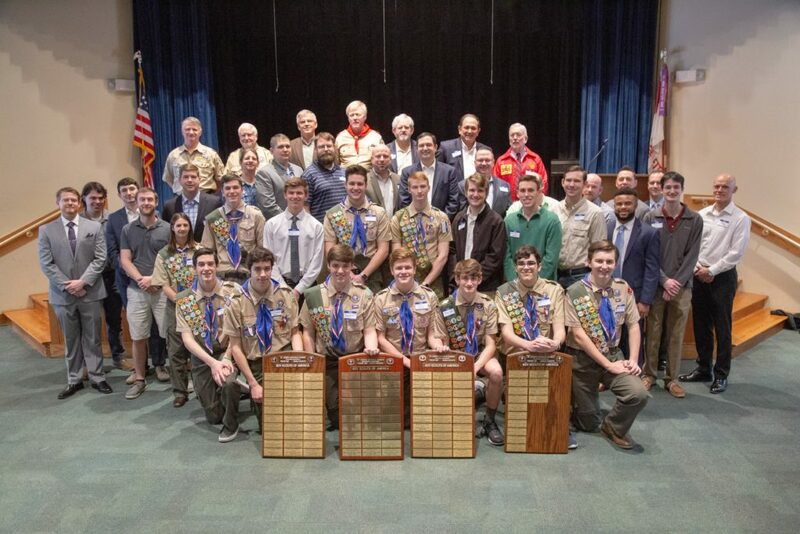 The Foothills District Annual Recognition Banquet honors the volunteers and parents who have helped deliver an outstanding Scouting program to our youth members in 2018. This year marks the 31st annual banquet, in a tradition dating back to the Cobb District, predecessor of Foothills and other Cobb County districts. The banquet is a night of fun and fellowship that no Foothills Scouter should miss! Among the recognition to be presented are the District Award of Merit, the Good Egg Award, the Banquet Honoree, and more. This year’s theme, “WE ARE FAMILY!” recognizes that we are all one big scouting family. Order your tickets now, don’t miss out. Most importantly, the banquet can’t be a success without your input. Please submit your nominations for the District Award of Merit and your units Good Egg Awards. Save the date! Come celebrate your Unit’s “Good Egg” and our District leaders! Foothills District Banquet will be held Feb 1st at Holy Family Catholic Church!